There are 118 elements known to man. Our race quickly became the top of the food chain in this planet. We know so much, but we are so clueless at the same time. Our planet, our moon, the universe and even the smallest particle we can find in existence has its trajectory… its plan. It has its way and it can’t be stopped. Everything around us is so chaotic, but it also has an order we can never achieve. And so we sometimes find ourselves looking at phenomenons that are simply stunning. Even if we can explain them with reason and science, we can’t stop but to be in awe at how beautiful and impressive life is. Today I present to you the Blood Moon, an event many of you probably witnessed as well. 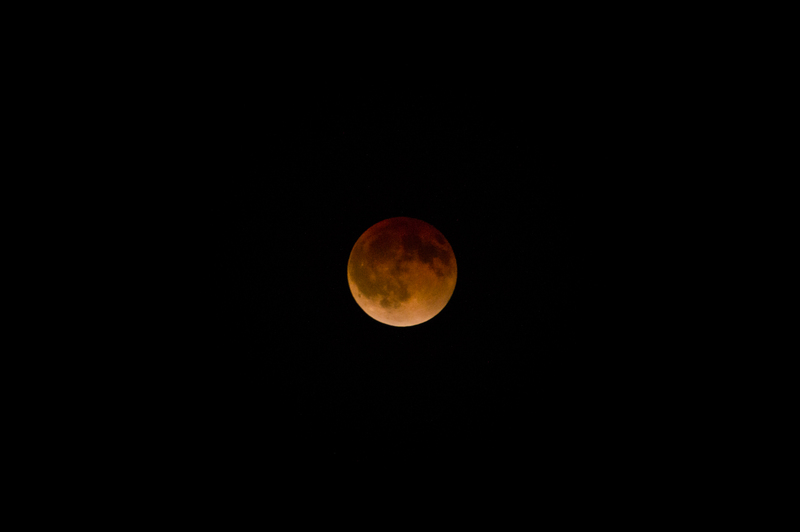 It’s a total lunar eclipse that makes the beautiful satellite look red. You have probably read the explanation, but here is the short version if you haven’t. This is caused because the moon is completely covered by the earth. During that point, only the edges of the world are bouncing light to the moon, and in the edges of the world this light comes with a red hue. Think of it like this: The moon is only getting light from pretty much every sunset and sunrise in the world. And as you may have seen, these are usually reddish, orange. This is due to the refraction of light, which is also a topic for another day. 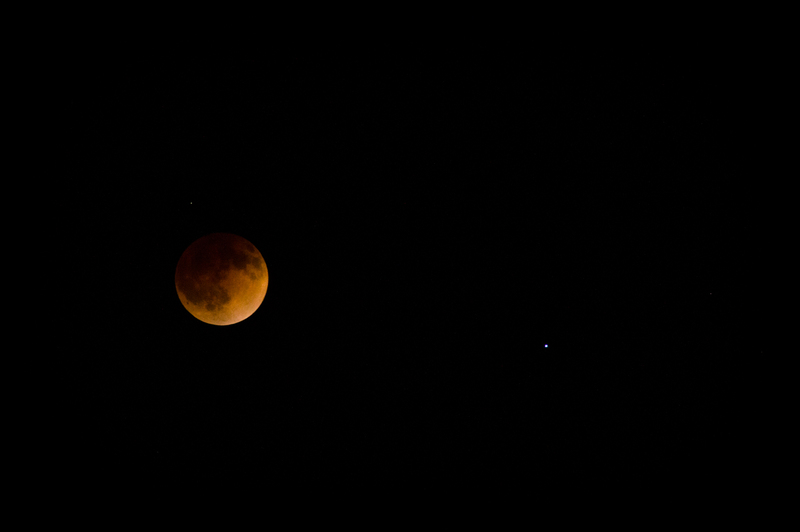 The two images above will show you the bleeding moon, but there was one shot I was specifically waiting for. I wanted to capture the solid line of sun light in the moon, before the full lunar eclipse was completed. This would show the magnitude of this event. A large floating object being completely covered by our 118 chemical elements. With such a power that the moon would even start bleeding. I love the result! 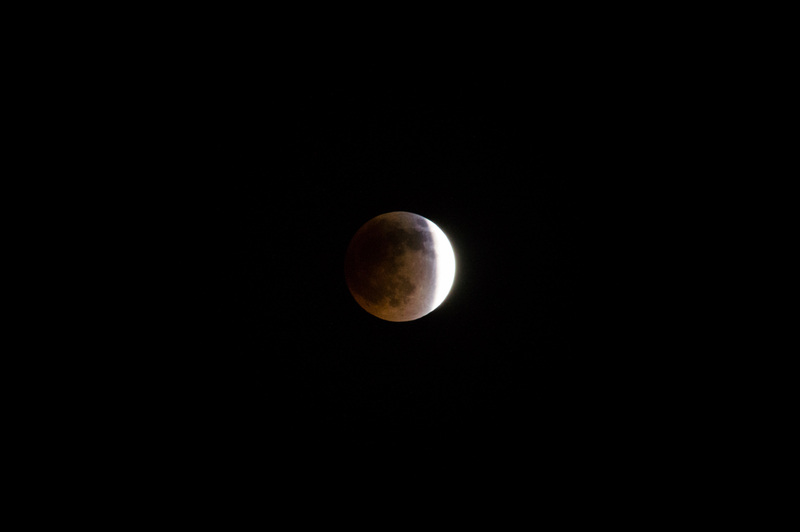 It was hard to get the image with the red hue at its full glory, but I did get the first shades of blood’s color. The red color was awesome, but there is something so humbling about an event of this magnitude. We are just rolling around in an organized mess, all over the universe. That is what I really wanted to capture.